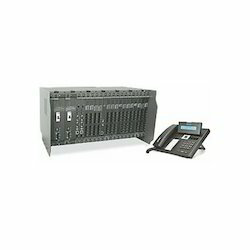 Leading Service Provider of ip pbx system, ip pbx 4co 12slt system, smb ip-pbx 5 ext.to 48 ext., enterprise eternity-ge10s pbx system, enterprise pbx system and matrix enterprise ip pbx system from Chennai. IP-PBXIn today’s competitive business scenario, small businesses need an efficient phone system that can increase employee productivity, reduce telephony costs and provide high-endcall management features. 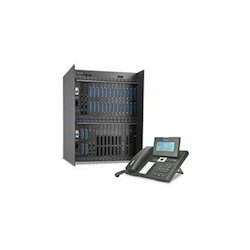 Matrix ETERNITY NE is a next generation IP-PBX for small businesses sized between 10 to 32 users. A small yet powerful IP-PBX, ETERNITY NE provides all business-class telephony features to be productive, look professional and enhance customer services. In today’s competitive business scenario, small businesses need an efficient phone system that can increase employee productivity, reduce telephony costs and provide high-endcall management features. 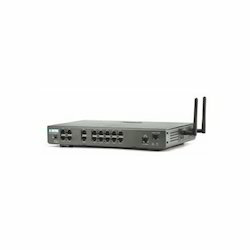 Matrix ETERNITY NE is a next generation IP-PBX for small businesses sized between 10 to 32 users. A small yet powerful IP-PBX, ETERNITY NE provides all business-class telephony features to be productive, look professional and enhance customer services. 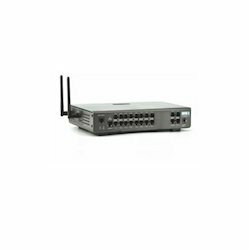 ETERNITY NE is a true convergence of communication technologies with integrated interfaces for FXO (CO), GSM/3G and VoIP networks. ETERNITY NE intelligently selects the most cost-effective route to place local, mobile or long distance calls and reduces telephony costs. Enterprise PBXIn today’s competitive business scenario, small businesses need an efficient phone system that can increase employee productivity, reduce telephony costs and provide high-endcall management features. 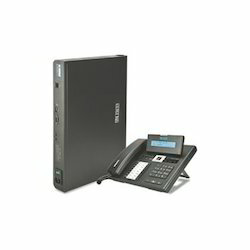 Matrix ETERNITY NE is a next generation IP-PBX for small businesses sized between 10 to 32 users. A small yet powerful IP-PBX, ETERNITY NE provides all business-class telephony features to be productive, look professional and enhance customer services. 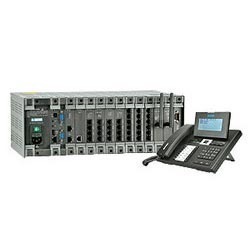 Matrix Enterprise IP-PBX range empowers Large Enterprises to experience the benefits of IP and GSM/3G with legacy networks and variety of subscribers. The range offers the flexibility and set of advance features to change as per the evolving needs of dynamic businesses. This empowers employees to work from home, start-up offices and remote locations uninterrupted. 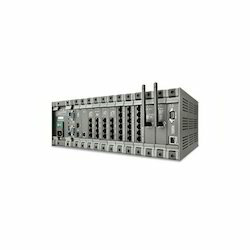 The Hybrid (IP-TDM) platform supports up to 128 analog trunks, 64 GSM/3G ports, 32 ISDN BRI ports, 8 T1/E1/PRI ports and 32 VoIP trunks along with up to 512 analog users, 128 digital users and 999 IP users. 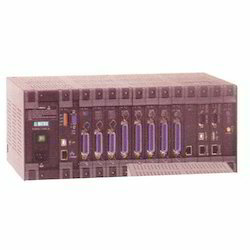 AC and DC power supply, Optional Redundancy and Hot-swapping capabilities for expansion cards. 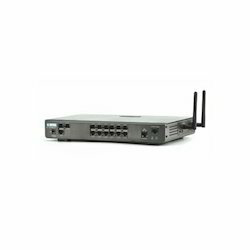 The Hybrid (IP-TDM) platform supports up to 128 analog trunks, 128 GSM ports, 32 ISDN BRI ports, 24 T1/E1 ISDN PRI ports and 32 VoIP trunks with up to 1344 analog users, 128 digital users and 1500 IP users. It supports optional hot-standby functionality for CPU and DC power supply with hot-swappable expansion cards. ETERNITY PE is a versatile IP-PBX platform based on universal slots architecture offering variety of trunks and extensions. ETERNITY PE is ideal for any small to medium business with 24 to 48 users. 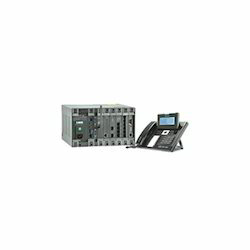 Organization can flexibly connect FXO, GSM/3G, VoIP, ISDN BRI and T1/E1/PRI trunks and select from user extensions such as Analog Phones, Digital Key Phones, IP Extensions in any combination as per communication requirements. ETERNITY GE, the advance communication system, offers convenient features and flexible functionalities to large businesses in line with their changing needs. 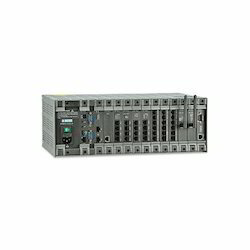 The reliable architecture and easy to use platform delivers the unmatched performance to meet the needs of controlling costs and managing operational expenses. 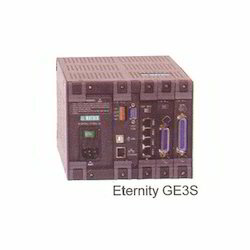 ETERNITY GE supports any combination of TDM, IP and GSM trunks and subscribers along with networking of multiple systems across locations. 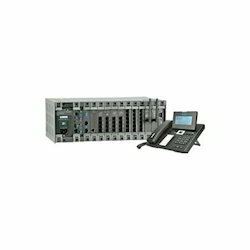 ETERNITY NE ensures uniform treatment to all customers with efficient routing and handling of calls, round-the-clock. 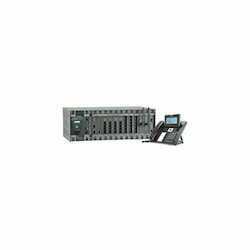 Choice of multiple auto-attendant languages, option to leave voice mail in non-availability, email notification of voice mail and automatic recording of important calls ensures professional business approach and enhanced customer service. 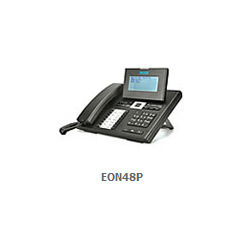 As a renowned organization, we are engaged in offering a wide range of Analog Phones. Offered products are stringently tested on various quality parameters and are authenticated as per the international standards of quality. These products are resistant to corrosion and ensure long service life. These products are highly appreciated and demanded by our clients due to their high quality and performance. 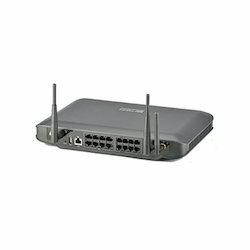 Looking for “IP Epabx PBX”?